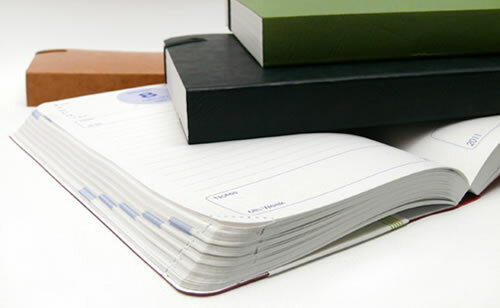 Exacompta makes planners, journals, sketchbooks and index cards with a variety of high quality papers. Some of the paper is a little different than the usual Clairefontaine and Rhodia paper that many of you may be used to using. For example, some of their planners such as the popular Journal 21 and Space 24 weekly agenda contain a light green tinted paper. 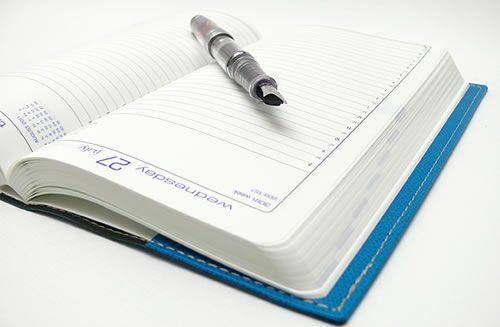 Other planners such as the Daily Pocket diary contain light-weight but sturdy ivory paper to help make them as compact as possible. 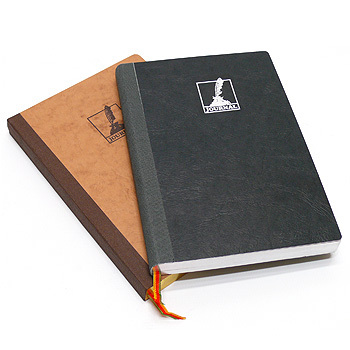 The Basics Journal and Sketchbook both contain 100g paper that is 25% cotton with a laid finish. Exacompta Index Cards are made from a 205g stock in soft pastel colors and they work beautifully with a fountain pen! You can check out Exaclair’s Exacompta paper chart to get some insight into the specific paper used in each product. Quo Vadis Planners come in a wide variety of shapes, sizes and colors, and all of them contain high-quality paper with a pleasantly smooth writing surface. If you are particular about your paper, how do you know which one contains just the right paper for you? If you’re looking for a planner that is as light-weight and compact as possible, easy to carry around and stash discreetly in a purse or pocket, 64g or 55g paper helps to reduce size and weight. 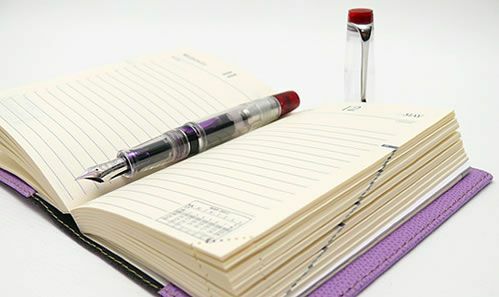 One of my favorite small planners is the Exacompta Daily Pocket Diary. 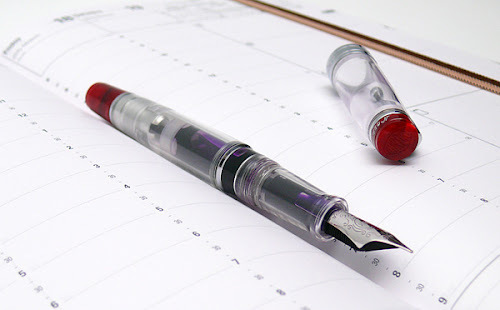 If you are a fountain pen user, Quo Vadis recommends paper that is 85g or higher, although many prefer the 90g paper. 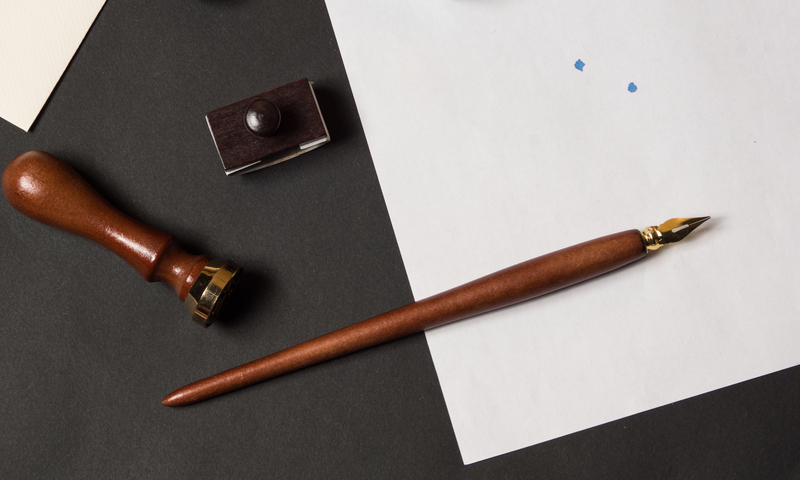 As is typical of Quo Vadis planners, there is little to no feathering or bleed-through of fountain pen ink on this paper, and the weight of 85g or higher has the added advantage of preventing most ink see-through. If you’re picky about paper color, Quo Vadis gives you the choice of extra white, white, ivory and even a pale green color of paper such as found in the super-popular daily planner Journal 21. 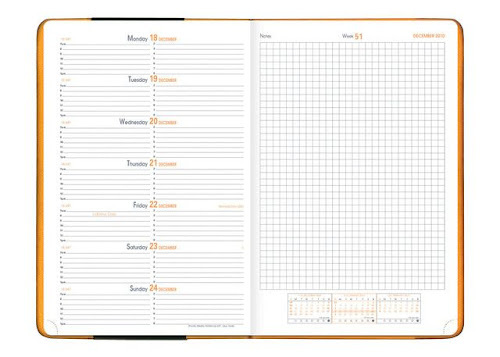 If you love graph paper, Rhodia Weekly Planners provide a grid area along with each week’s plans for drawing and taking notes. Quo Vadis comes to the rescue and provides us with the following informative chart on the types of paper contained in Quo Vadis planners. (We left the Quo Vadis Notebooks on the end of this list for your reference.) Which Quo Vadis Planner is your favorite?